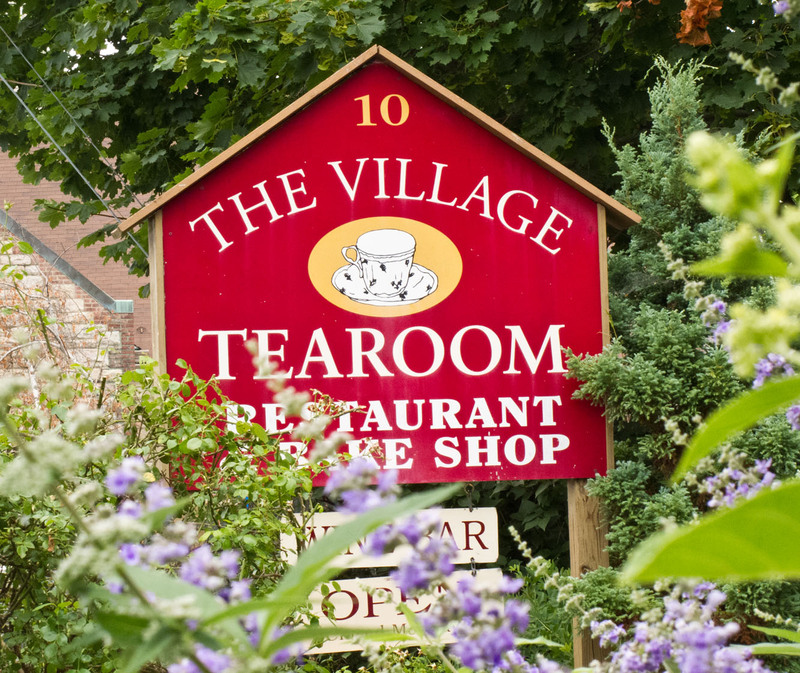 There is a surprising variety of worthwhile restaurants and cafes along Route 23A between Hunter and Haines Falls. 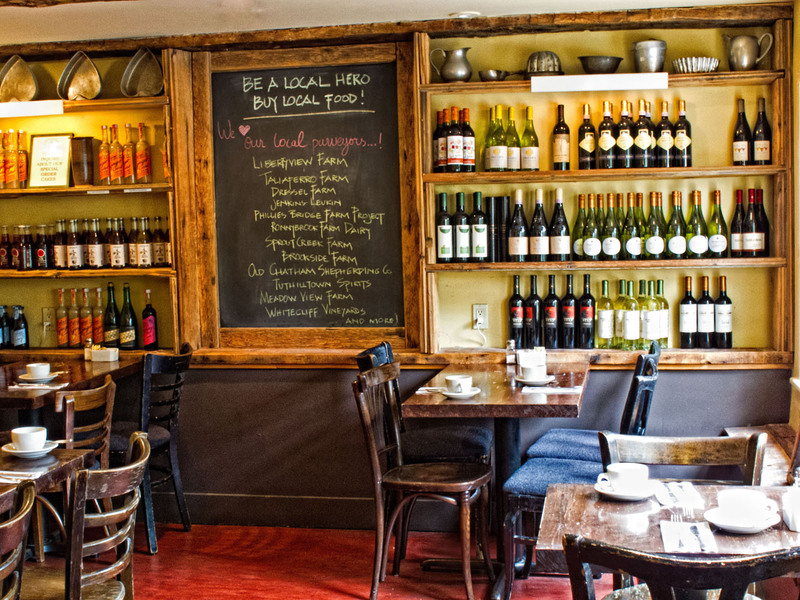 (I say “surprising” because one wouldn’t necessarily expect a rural region of the Catskills to have better eating places than a certain area of Bergen County, NJ with which I’m familiar, and yet such is definitely the case.) A number of them are in colorful Tannersville, which prides itself on its restaurants and has taken to touting them quite enthusiastically. Tannersville. If you read this blog regularly you’ll know I’m a fan of the Last Chance. 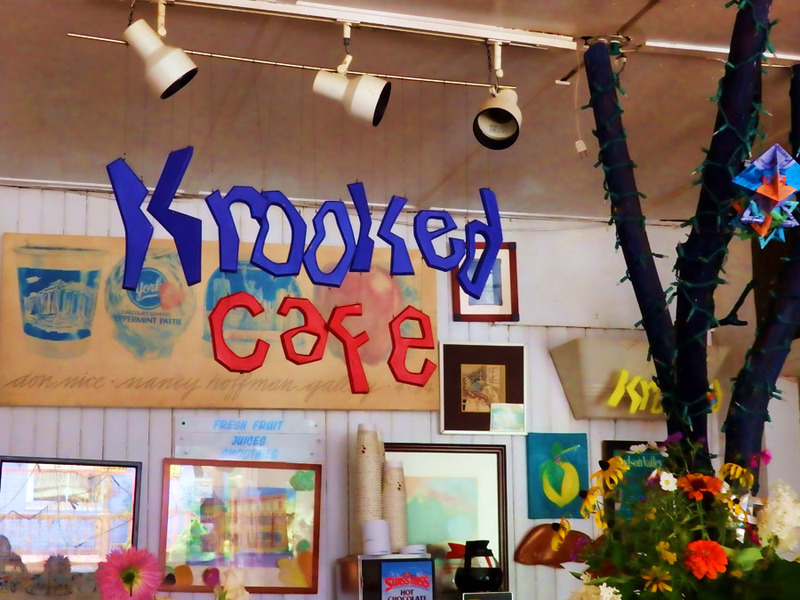 But here’s a recommendation for something totally different: Maggie’s Krooked Cafe. It looks quite unprepossessing both outside and in, but on my visit to the Mountain Top last week I decided to try it out and got attentive and friendly service from Violet and the best beef burger I’ve had probably in my entire life. Coming from someone who hasn’t been a fan of beef burgers for many a year, that’s saying something. 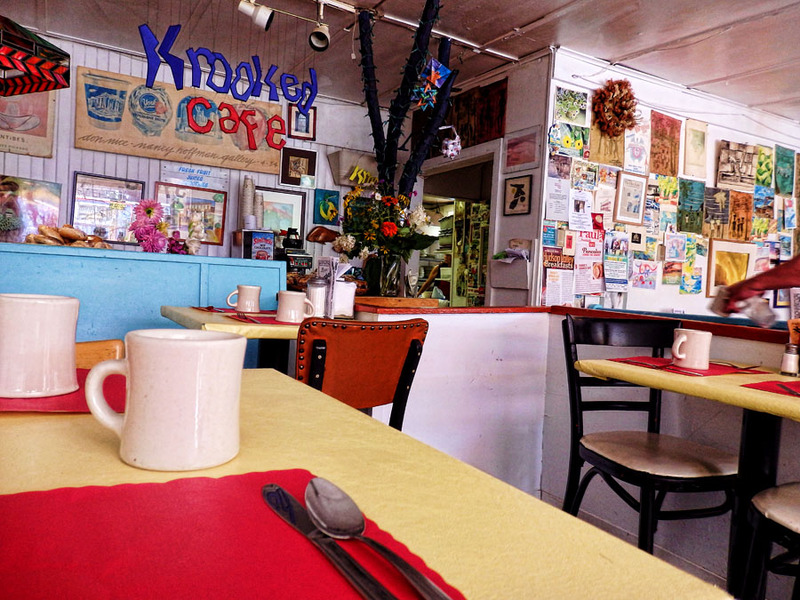 If you’re traveling through Tannersville, you might want to give the Krooked Cafe a try. It’s on the north side of Route 23A. Oh, and it was written up in Hudson Valley magazine’s restaurants issue in January 2014. So if you hesitate to take my word for it, believe the experts! The beautiful sunflower field just outside New Paltz didn’t disappoint this year! Click on the above photo to get to my website, where you can enjoy more recent sunflower photos, which are also available for purchase. With Christmas just around the corner I thought it would be fun to visit some of my favorite Hudson Valley towns and see how some of the stores are decorated. 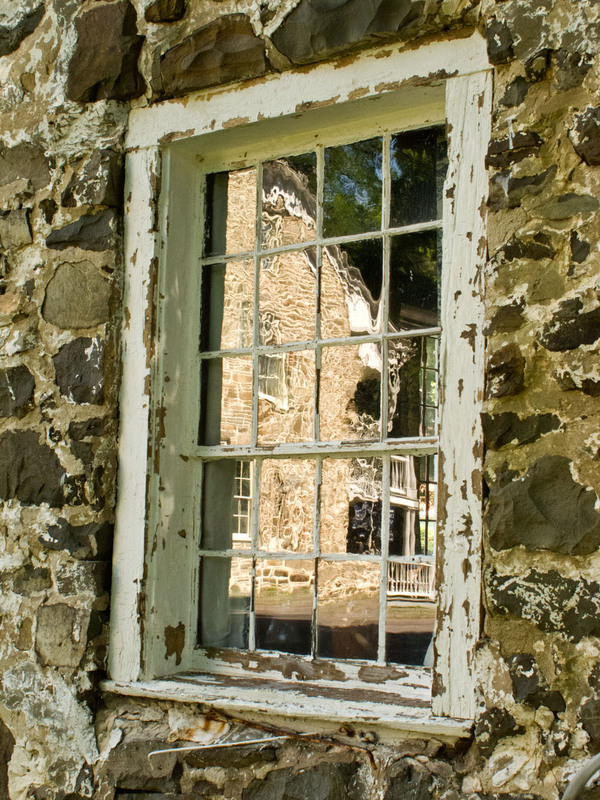 Here is a sample from New Paltz. This set of colorful stick figures that always greet visitors at the entrance to the famed Water Street Market is currently sporting Santa Claus caps. Many of the shop windows in the Water Street Market are decorated with this “gift-wrap” theme. The photo includes a reflection of the shops on the opposite side of the pedestrian path. My favorite place in all Water Street — the gallery of regional photographer G. Steve Jordan. 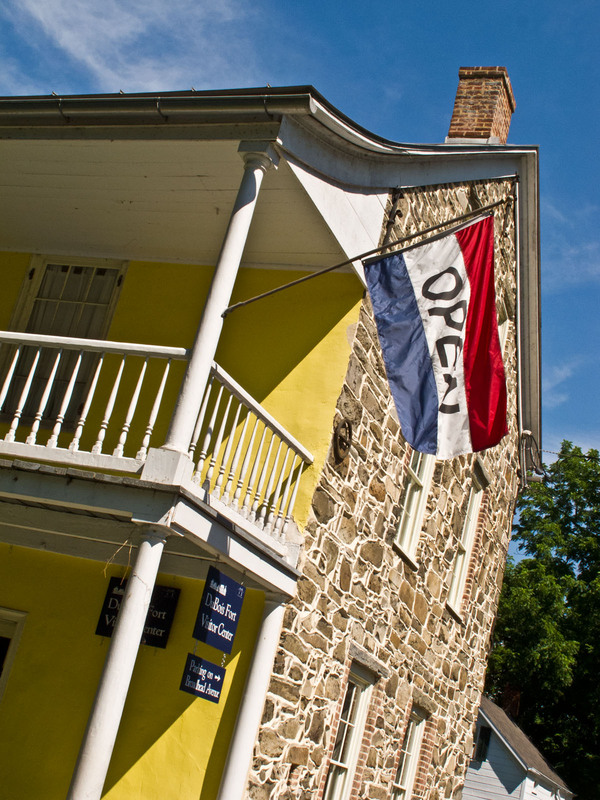 If you’re in New Paltz, stop in for a real visual treat. Otherwise, visit Steve’s website. Anyone who has been to the Mohonk Mountain House should appreciate one of Steve’s prints of the area as a remembrance of their visit. One of his magnificent 2013 calendars will keep the memories alive on your wall all year long.